“They’re athletes; every day is a workout for them,” said a physical therapist of the 27 children who completed the first-ever adaptive triathlon organized by C.S. Mott Children’s Hospital. 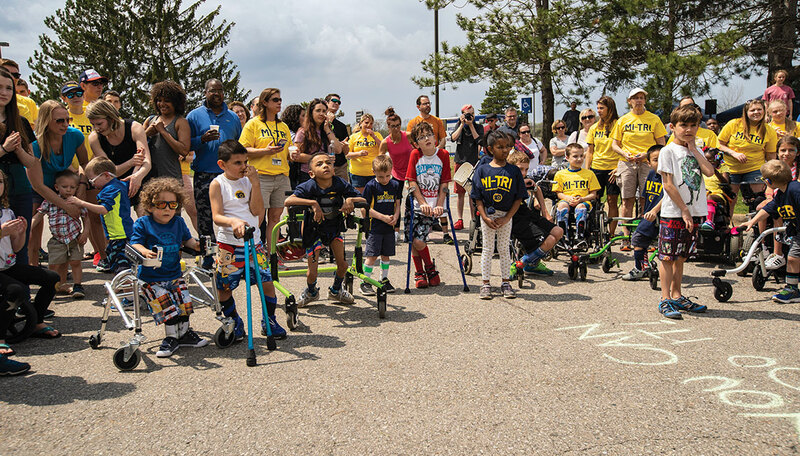 Participants in the May event ranged from ages 4 to 15 and all had conditions that restrict movement, including cerebral palsy and spina bifida. In traditional triathlon style, the event comprised an adaptive swim leg, a bike leg, and a walk/run leg.